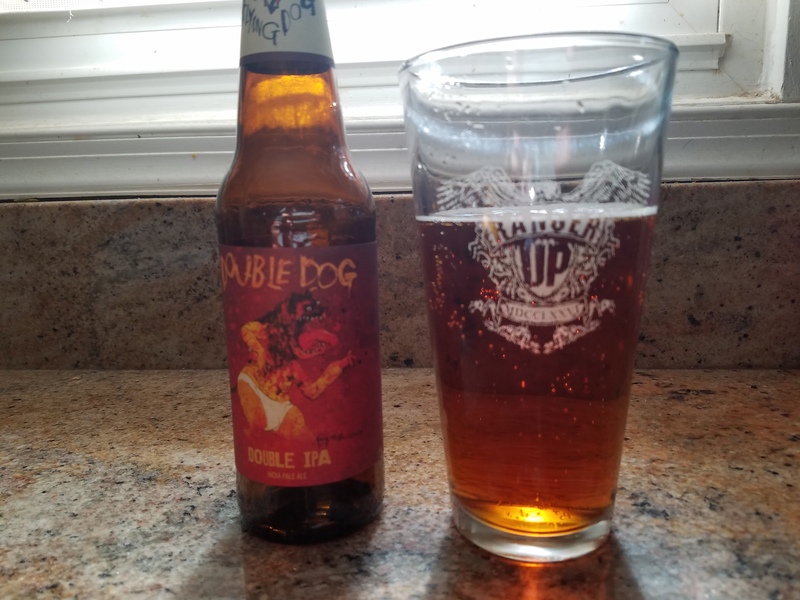 Another beer from Maryland’s own Flying Dog Brewery, this time I doubled down on Double Dog, which is a double IPA. This brew is a dark golden hue that just reeks of alcohol, which is a tongue blistering 11.5%, soap and citrus, weird combo I know, but the nose doesn’t lie. Drinking this beer you won’t quite get that flavor profile, I get more hints of citrus that’s surrounded by hops that’s getting gang banged by sweet alcohol along with some bitterness that IPA beers are known for. It is a good beer that goes down smooth and you’ll be pouring another before you’ve realized that you already finished the last one. The alcohol content alone is enough to get me to drink it again, now go hunt down this dog and get to seeing double. Solid 3 stars and two thumbs up in my book.